I bought this lovely cashmere hooded sweater in a nice neutral off white. It will go with everything! Yes, it does go with everything and is wonderfully warm in the cool air conditioning but it is also an ever so boring neutral off white. 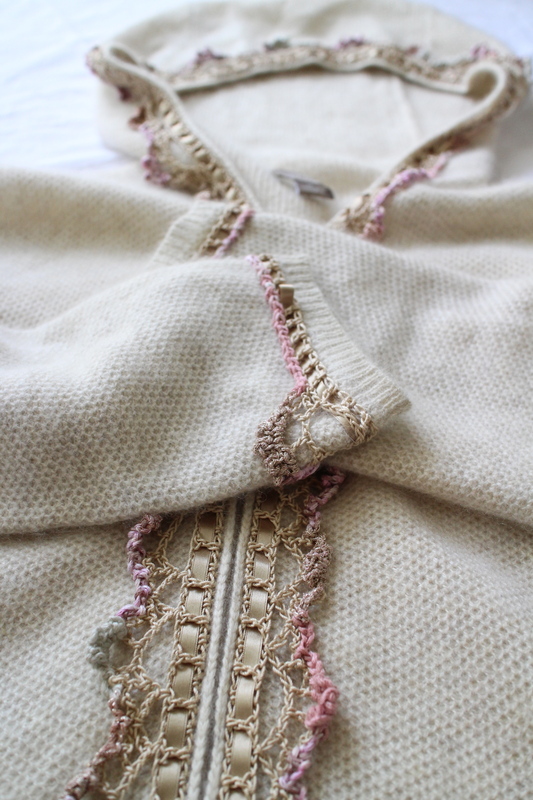 My lovely but boring sweater was an empty cashmere canvas in which to add my own crochet design work. 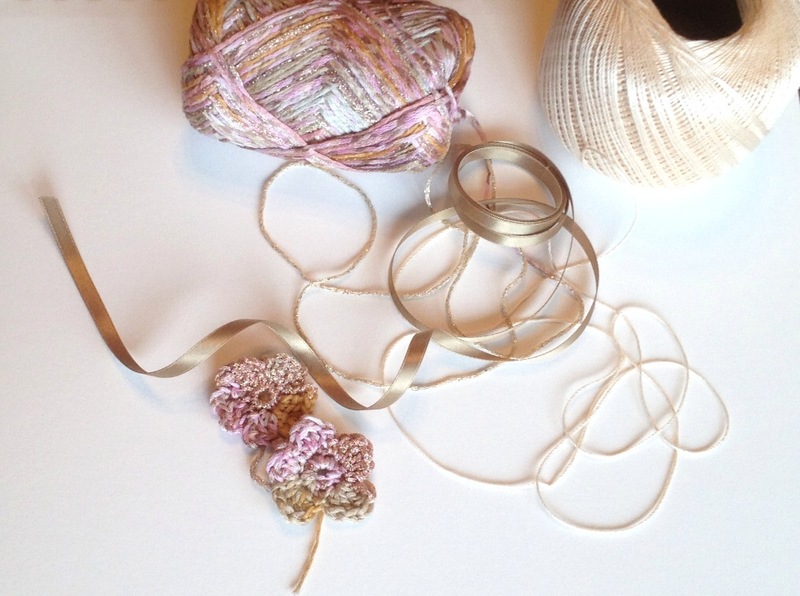 Mixing and matching a couple of crochet edging designs I had along with a coordinating off white #20 sized lace thread, beige satin ribbon, and a sweet variegated yarn of pinks, greens, and golds this addition adds a bit of me to a simple manufactured sweater.